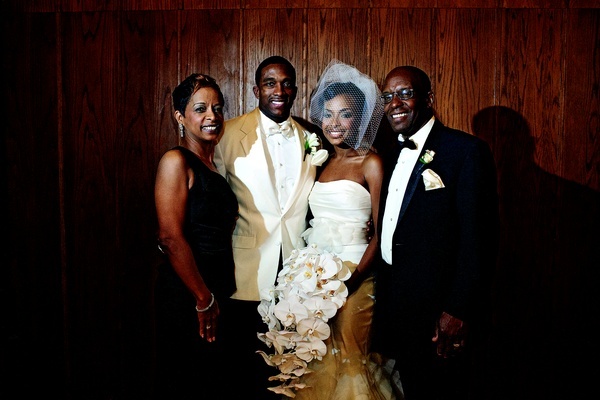 The memorable workout led to a year of wedding planning, of which the bride ultimately took the reigns due to Jarett’s hectic NFL schedule. 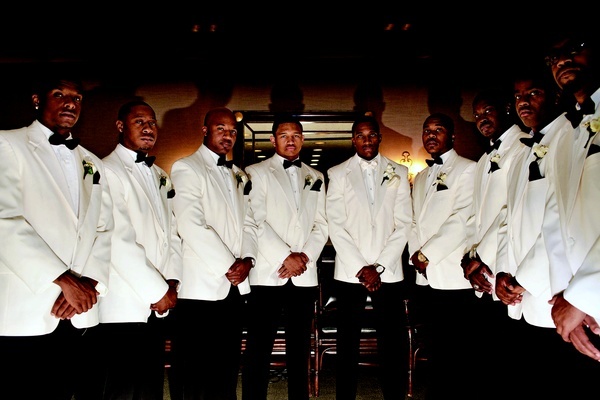 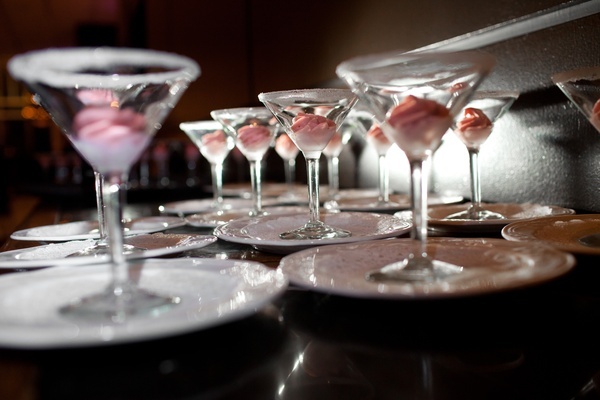 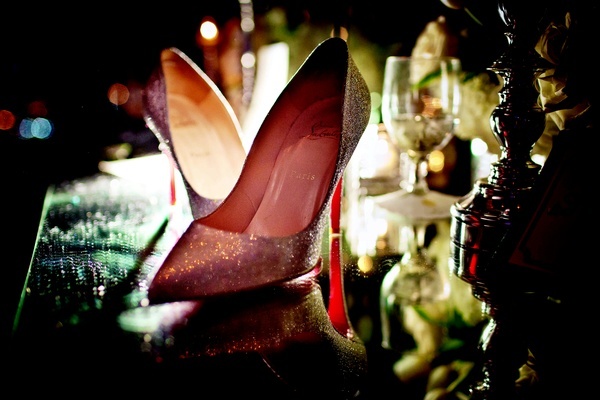 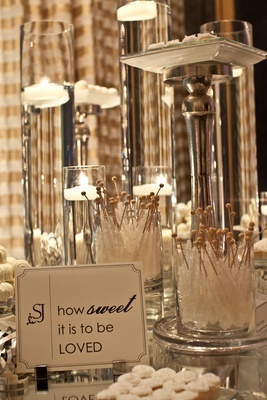 The groom’s one simple request for the celebration was that it focused on the enjoyment of their guests. 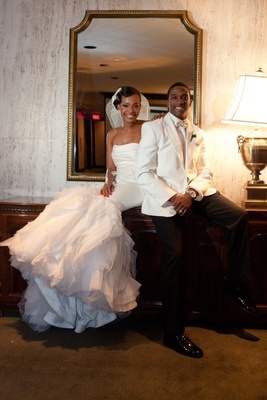 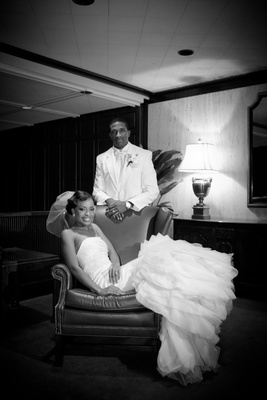 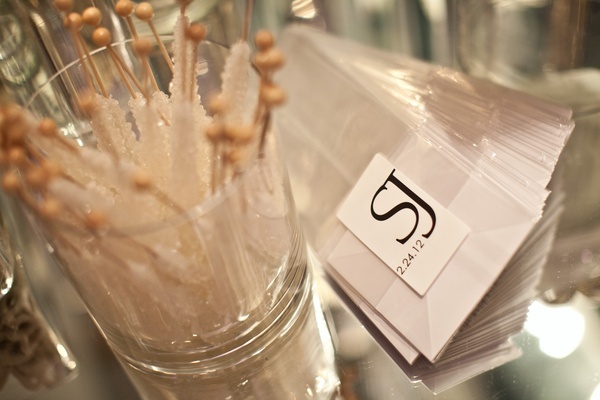 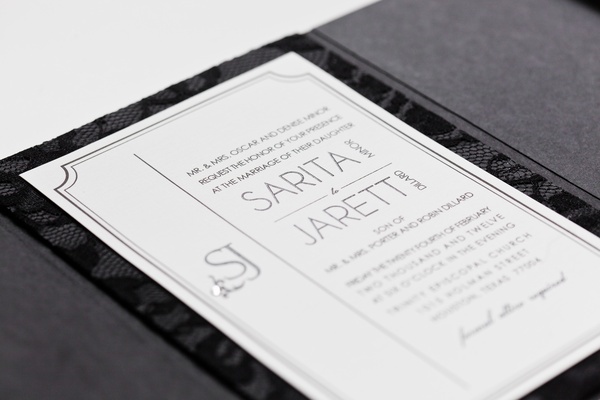 Sarita envisioned a chic, modern affair infused with Old Hollywood glamour. 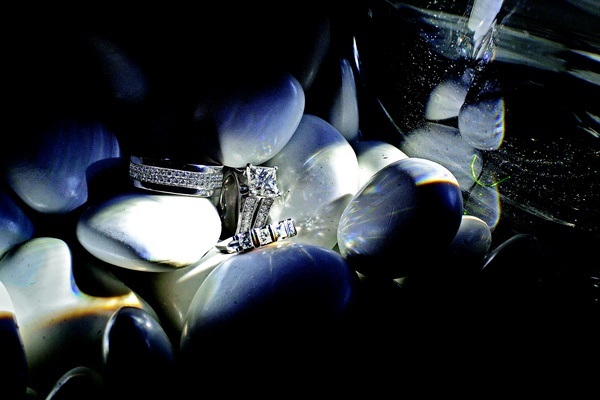 Though she was surprised by the amount of detail that was required to obtain the vision she had always dreamt about, she was certain that she could achieve her fairy tale. 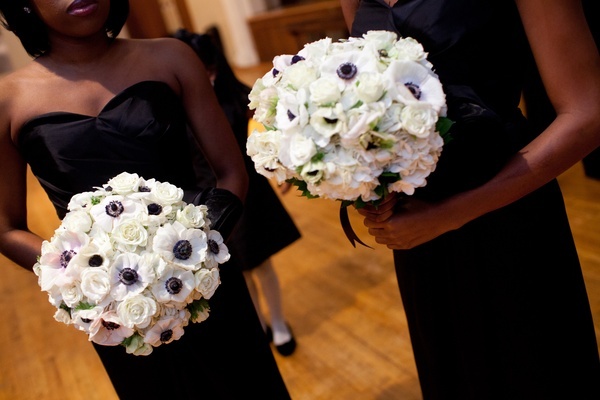 “You really don’t realize how much all those beautiful white flowers everywhere cost until you get your first floral quote,” laughs the bride. 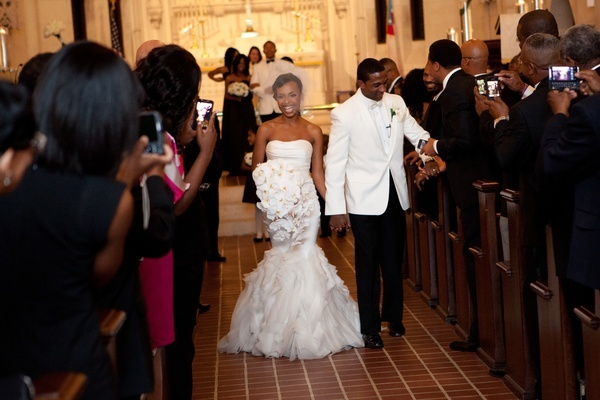 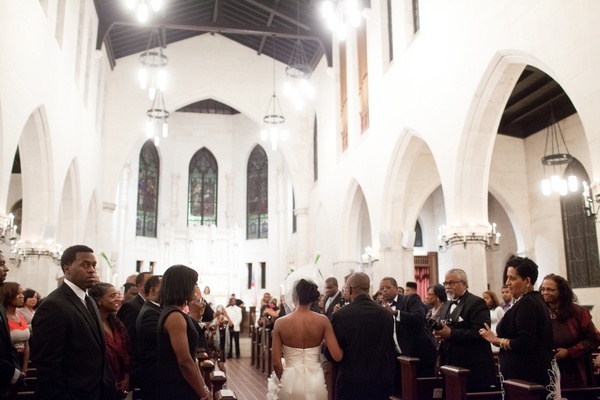 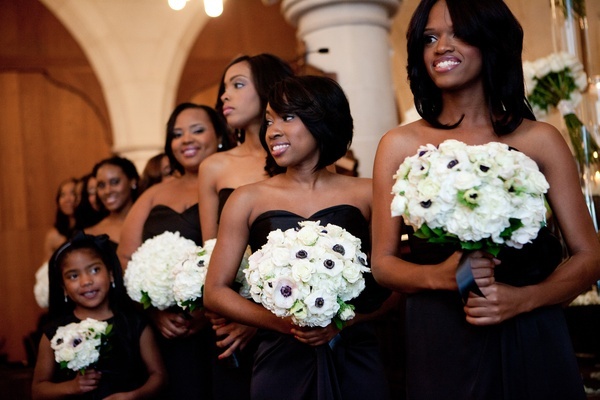 Picturesque florals lined the aisle of the magnificent church, which was architecturally breathtaking all on its own. 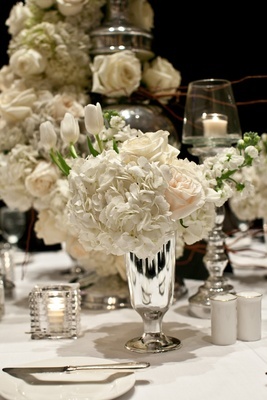 Flickering candles surrounded a collection of snowy roses, tulips, and hydrangeas standing tall out of their respective vases. 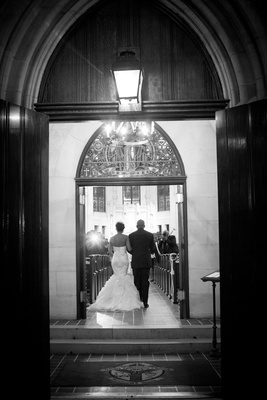 “It was so magical and it turned out perfect,” remembers the bride. 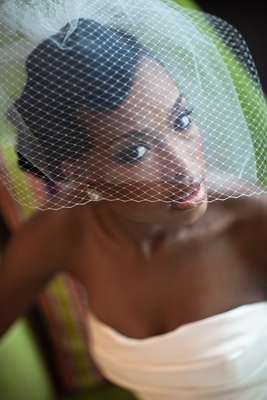 Sarita was a vision of of sweet-chic dressed in a strapless mermaid gown and darling blusher veil. 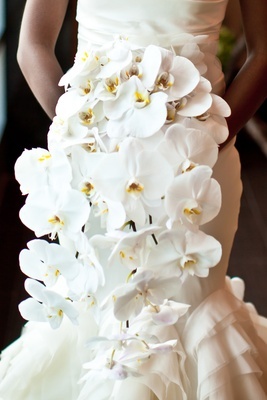 She held a romantic spray of eggshell-hued orchids. 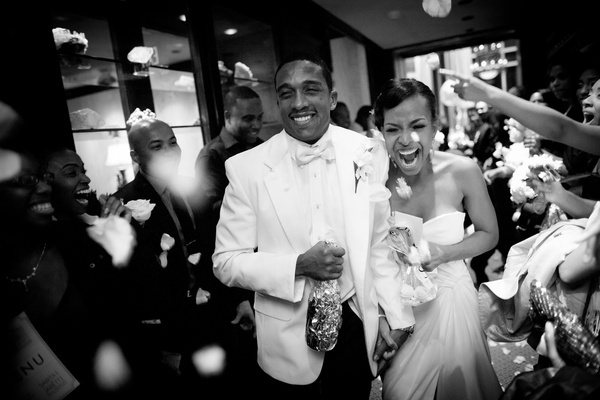 Jarett was equally striking in a custom tuxedo with a coordinating crème brûlée bow tie. 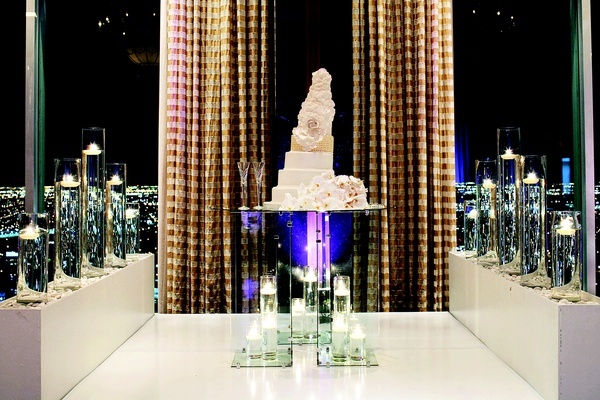 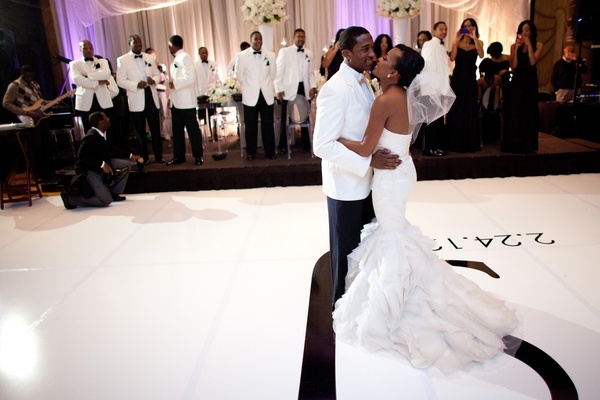 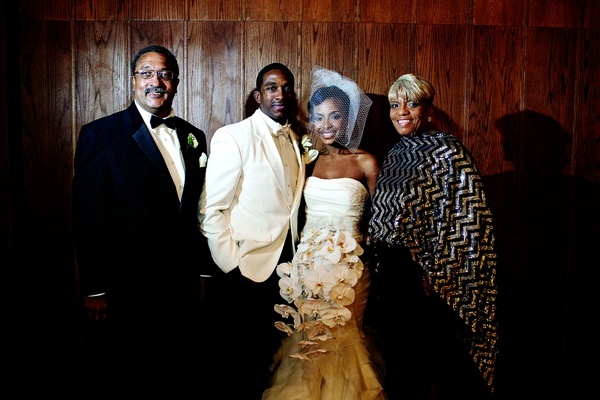 The couple had agreed upon a beautiful reception venue, which featured an all-glass ballroom on the 42nd floor. 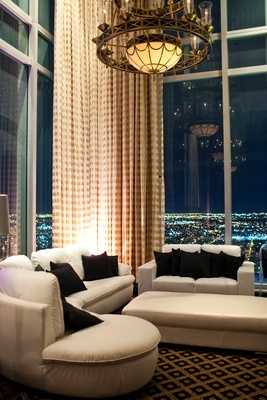 “The view of downtown Houston at 7PM was perfect,” effuses Sarita of their chosen location. 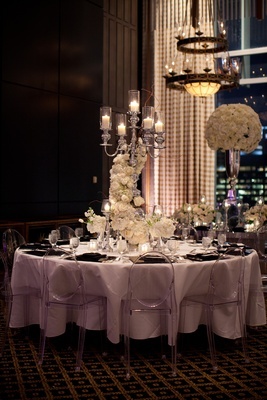 The celebratory space was cloaked in creamy fabrics that draped around the walls of the luxurious room. 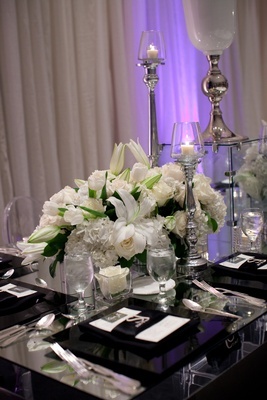 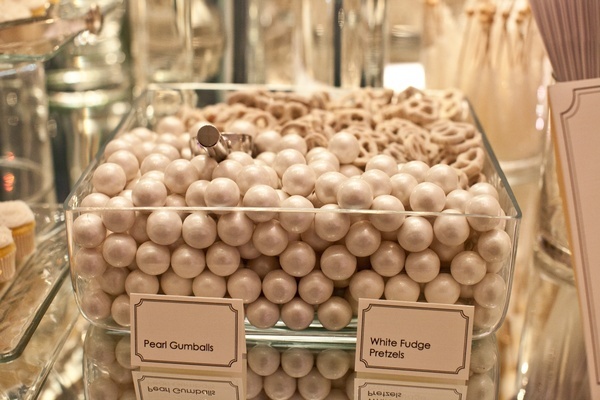 Modern black and white décor elements were incorporated throughout, as well as touches of mirror detail for added pop. 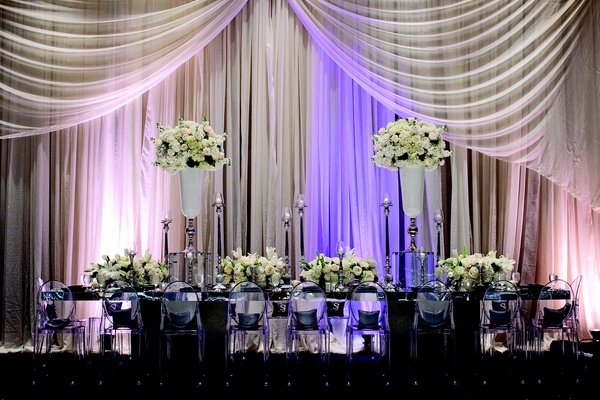 Alternating floral centerpieces placed in either tall, silver urns or low, mirrored boxes provided opulent appeal to each table. 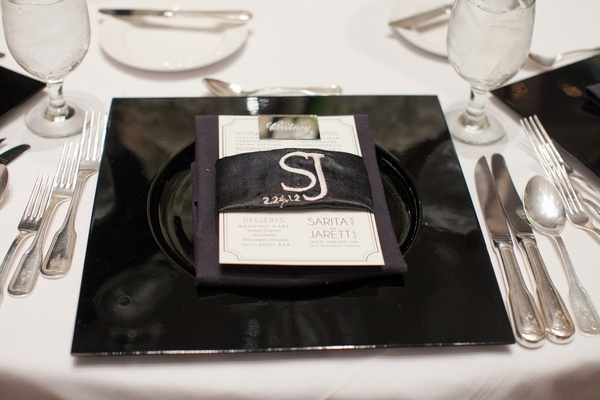 Elegant place settings offered each guest a personalized satin napkin as a keepsake to remember the special day, while shiny black pillows graced the backside of each Ghost chair unifying the glamour theme.